Luby takes over the innovation institute three months after former director Erik Halvorsen left the role. 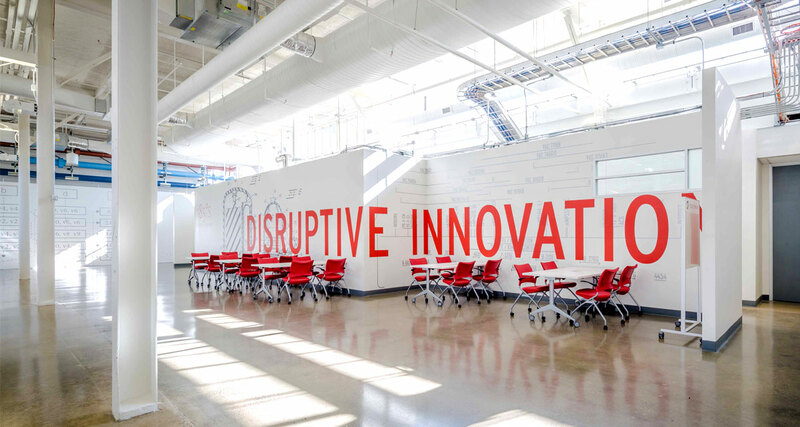 Luby is already a known presence around the TMC innovation building thanks to the two years he has led JLabs @ TMC, the Houston outpost of Johnson & Johnson’s (NYSE: JNJ) network of innovation incubators. The pharmaceutical giant’s Houston incubator is embedded within TMC, but owned and managed by Johnson & Johnson. He came to Houston from Boston where he was senior director of new ventures. For Luby, taking the reins at the innovation institute represents the next logical step for both him and TMC, he says. At JLabs, he says he was able to bring a corporate perspective and resources to Houston’s startup ecosystem. Now, at TMC, he says he can work to bring more big businesses to connect with the institute’s health IT and medical device startups. For Bill McKeon, TMC’s CEO, Luby brings his corporate hat, but also experience in life sciences startups—a combination needed at this stage of the institute’s development, he says. “He has that great combination of understanding science and also the business development experience,” McKeon says in an interview. Halvorsen told me he is “very excited” to see Luby make the move to TMC. “They could not have picked a better person to build on the great foundation at the TMC Innovation Institute,” he said in a text message. Last month, Halvorsen became chief business and strategy officer at FAR Biotech, a Houston-based company seeking to use machine learning to speed up cancer drug development. FAR is located within the institute’s office space for young bio companies. TMC established a startup accelerator called TMCx four years ago, the first in a series of initiatives to boost commercialization of biotech technologies and to attempt to make Houston the “Third Coast” of life sciences-related ecosystems, along with the larger hubs on the East and West coasts. The medical center has started a Biodesign fellowship in medical technologies with its member institutions, as well as a “BioBridge” program to work with researchers in medical centers in Australia and the United Kingdom. And last year, leaders launched a plan for the TMC Translational Research Campus, or TMC3, a $250 million center in the shape of a double helix that is expected to include restaurants, bars, retail, housing, and a conference center and hotel. The innovation institute governs all of these activities. Lance Black, the institute’s medical device lead, had been acting as interim director after Halvorsen’s departure, and now Black will assume the new role of associate director. Black’s main responsibility will be to direct the TMCx accelerator, while Luby will take a more strategic role supporting all of TMC’s innovation-related activities. “We know where to send you to help you become the entrepreneur you really want to be,” Luby says.